Winnipeg Fuji Fresh Car Show! 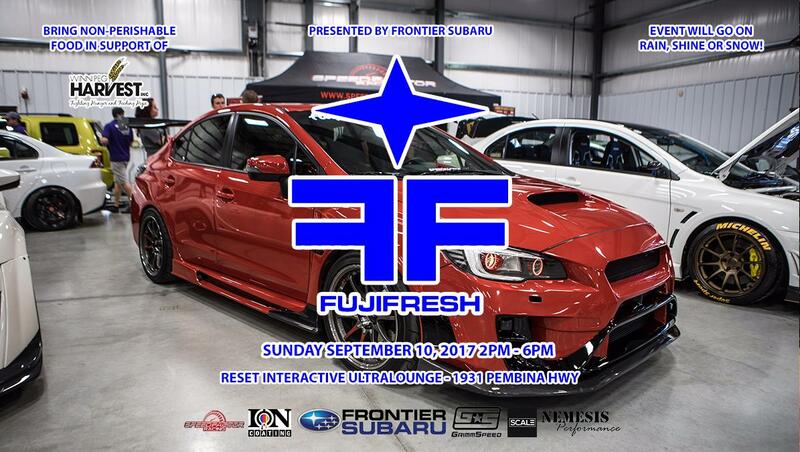 Topic: Winnipeg Fuji Fresh Car Show! We would like to invite all Subaru owners from Saskatchewan and further west to attend! We are hoping to make this an annual regional event to attract attendees from Minnesota, North Dakota, NW Ontario, Manitoba and Saskatchewan.